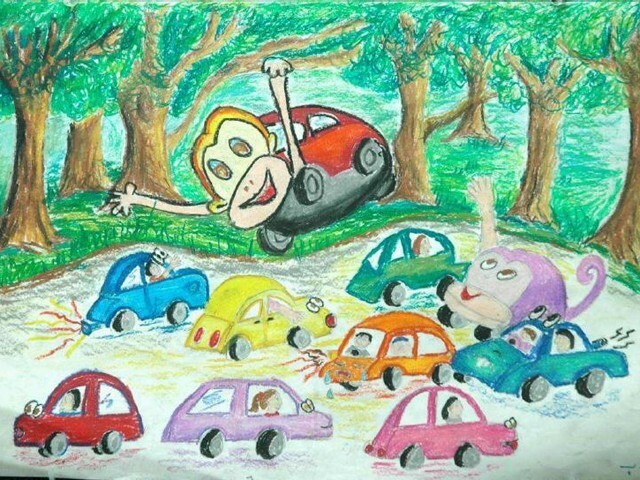 Rawalpindi: Twelve-year-old Fatima Noor, a student of The Foundation School, brought laurels to the nation as her artwork titled ‘Monkey Car’ was the only one from all over Pakistan to be selected in the ‘My Dream Car Drawing Contest’ organised by the Toyota Motor Company, Japan, says a press release. “We thank Almighty Allah for recognising our aspirations and endeavours and making our dreams come true,” said Madiha Imran, principal of The Foundation School, on this joyous occasion. Nice picture! Very cute and warmful. Noor good to have you on board TGN and hope you will be providing us with more good news to share in the future insha’Allah!